Oral cancer is malignant cancer that starts in the mouth. It may occurs in the lips, gum, tongue, palate, jaw bone, floor of the mouth, oral pharynx, salivary glands, maxillary sinus and mucous membrane of the facial skin. 1. Long-term addition to smoking or drinking: most oral cancer patients have long history of smoking or drinking. Non-smoking and Non-drinking are seldom found with oral cancer. 2. Bad oral hygiene: bad oral hygiene provides a nourishing environment for the growth and multiplication of bacteria and mycetes, which are beneficial to the formation of nitrosamine. 3. Long-term stimulation of foreign body: long-term stimulation to the mucous membrane of the oral cavity by root of teeth, sharp teeth cusps or unsuitable false teeth, can cause chronic ulcer and cancerous lesion. 4. Innutrition: lack of elements like vitamin A1, vitamin B2 and trace element zinc, arsenic, can raise the organism’s sensitivity to carcinogen and causes oral cancer. 5. Leukoplakia and erythroplakia: oral leukoplakia and proliferative erythroplakia are signs of cancerous lesion. 6. Ultraviolet rays: for outdoor workers, long-term exposure to direct sunlight can raise the risk of oral cancer. 7. Ionizing radiation: ionizing radiation can cause changes of DNA and activate the cancer genes, thus, causes cancer. 8. Others: diseases like chronic hepatitis, cirrhosis and virus infection, which can cause decrease of the organism’s immunity, also have relation to the incidence of oral cancer. 1. Provide liquid diet to the patient after surgery and change into semi-liquid diet about one week after the operation. 2. Observe the color, temperature and elasticity of the patient’s skin flap, if it is low in temperature, greenish purple and increasingly aggravates, turn to the doctor instantly. 3. Aspirate the patient’s secretions in the mouth, nasal cavity and pharynx to keep the airway unobstructed. 4. If the patient is not able to talk, check whether there are symptoms of airway obstruction, such as fidget and nasal flaring, if any, inform the doctor. Oral cancer is a common malignant tumor of the oral cavity. Early symptoms of oral cancer are more like oral ulcer, thus a lot of early stage oral cancer patients may easily mistake oral cancer as oral ulcer or other oral diseases, so that miss the best time for treatment. In order to guarantee your own healthy, people somehow should know cancer suspicious symptoms. 1. Pain: in early stage there will be no pain or just local abnormal friction feeling; if oral ulcer appears, patients would feel obvious pain. As tumor invades to adjacent nerves, it causes ear pain or sore throat, etc. 2. Color change: if mucous membrane of oral cavity becomes white, brown or black, it means that mucosal epidermal cells have changed. Especially if oral mucosa becomes rough, thickening or show callosity, and even manifests white spotting, erythema, then it probably has already produced canceration. 3. Unhealed ulcer: the course of oral ulcer usually won’t exceed two weeks; if burning sensation and other symptoms such as pain have lasted more than two weeks without any sign of recovery, you should be alert to the possibility of oral cancer. 4. Lump: there is lump inside the mouth or in neck for unknown causes (when touch it, there will be not necessarily pain). Oral cancer often spread to adjacent lymph nodes of neck. Sometimes the primary lesion is very small, even the symptoms are not obvious, but the neck lymph nodes appear metastatic cancer cells. Therefore, if neck lymph node suddenly enlarges, oral check is required. 5. Oral cavity often appears repeated and unexplained bleeding with difficulty in mouth close or open. Bleeding is a big risky sign of oral cancer. Because slightly touch on the tumor grew in the oral cavity will lead to bleeding. The tumor may also invade masticatory muscles and mandibular joint, which would lead to opening and closing movement restriction or difficulty of mouth. 6. Jawbone and teeth: localized swelling of jawbone would result in facial asymmetry. 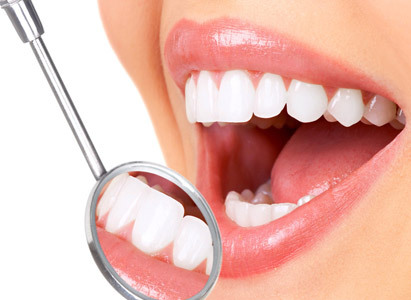 Patients who suddenly suffer from loosen or fallen off teeth, poor dental malocclusion when chewing food, denture discomfort (if any), numbness or pain of oral cavity and pharynx, and with no improvement after general symptomatic treatment, need to be alert of oral cancer. 7. Tongue movement and perception: the tongue activity is restricted, which results in difficulty in chewing, swallowing or speaking, unconsciousness or numbness of tongue hemi, all these need to be identified with definitive reasons. In addition, some other symptoms like facial nerve abnormalities, numbed sensation, unexplained meatus bleeding, should also be identified with causes or for early treatment. 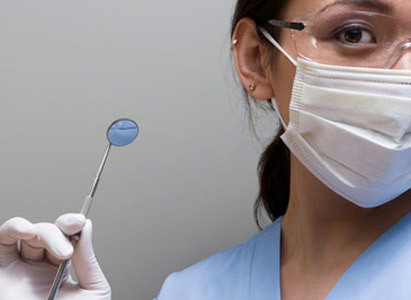 Experts of Modern Cancer Hospital Guangzhou remind that the above symptoms are common symptoms of oral cancer, but they cannot completely determine whether you have cancer or not, because oral inflammation would also cause these symptoms. No matter how, it is the best to go to hospital timely for definitive diagnosis and receive corresponding treatments.